This workshop had preceded a Special Interest Group (SIG) meeting in 2016 and a workshop in 2017. 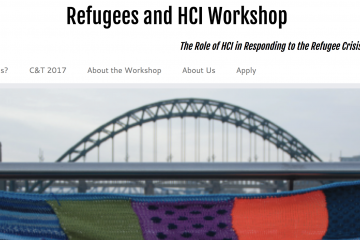 In the first SIG meeting at the Computer Human Interaction conference 2016 , the organizers broadly approached the topic of refugees and the role of HCI for this vulnerable population with the wider HCI community. The majority of the participants highlighted the important role of researchers in identifying and addressing the needs of refugees. There was consensus that this can only be achieved by engaging deeper with the refugee communities themselves. Building up on this initial approach of the topic, a workshop proposal was accepted at the Communities & Technologies conference 2017 in France . In a one-day workshop over 20 participants discussed the methodological challenges that researchers encountered when engaging with refugees. 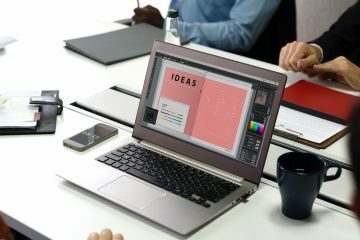 Based on a speculative design case study about a future crisis, a first set of guidelines was elaborated, specifying the sensitive aspects of research work with refugees. A publication about these results in the interactions magazine should complete the workshop.